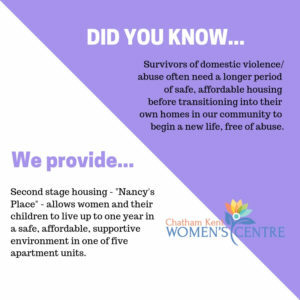 Nancy’s Place is a second stage housing program operated by Chatham Kent Women’s Centre for women and children who have left abusive relationships. 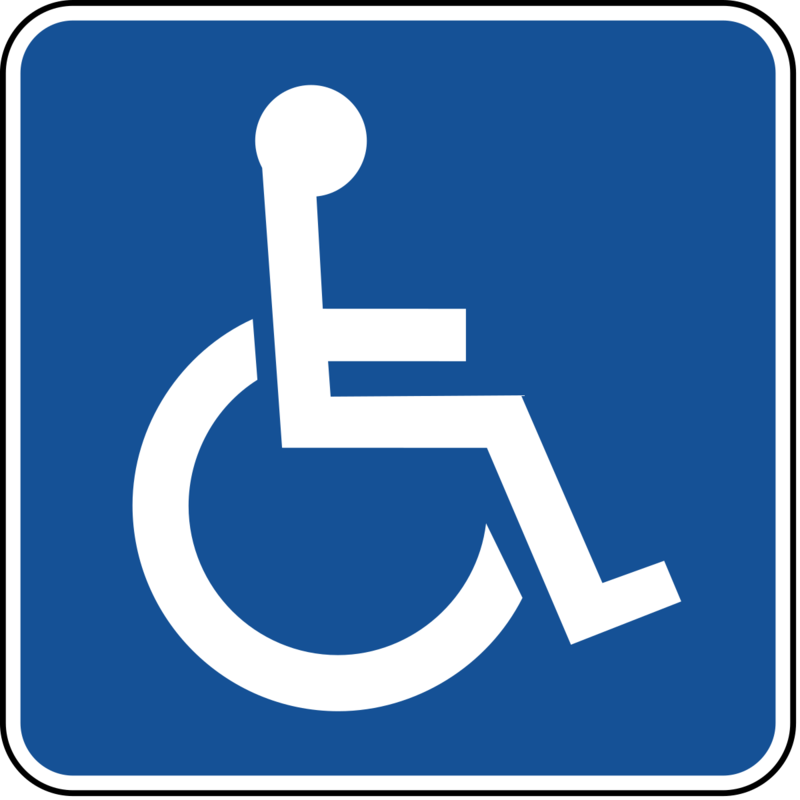 Applications for residency are processed through the Chatham Kent Women’s Centre and the Housing Authority. The program at Nancy’s Place offers housing in a secure, supportive environment for women and their children. The building contains units that are modestly furnished with laundry facilities, fenced yard and parking. A 24-hour security system is in place. Residents at Nancy’s Place meet on a regular basis for tenant meetings, counselling and advocacy. For more information, please contact 519-351-9144.